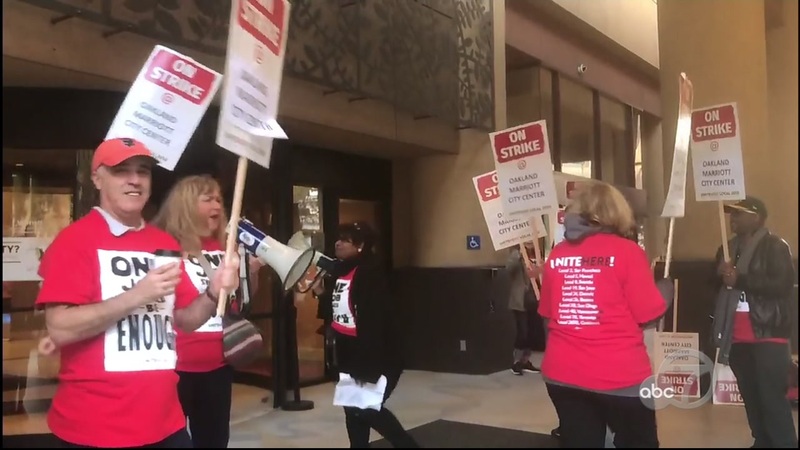 OAKLAND, Calif. (KGO) -- Oakland Marriott workers ratified an agreement to end the strike on Friday. More than 200 City Center employees will go back to work on Saturday. The workers' union, Local 2850, tweeted the news on Friday. They've been calling for better pay for nearly a month. This agreement does not impact San Francisco and San Jose Marriott workers.